No start order, no worries! The Fox Superflow is the series that has been taking our Rocky Trail gravity community by storm - ideal for those who are keen to take on an endurance challenge of a different kind! At these events riders of all ages and many different XC or gravity backgrounds race on 'super-flowy' singletrails for fun or are hunting down those seconds for the win. How it works - within a set timing window you complete a set of timed race stages, which are predominantly downhill - the faster you go, the more challenging it gets! No big jumps or drop-offs though and you ride to the starts un-timed - at your pace! Spend all day together, whatever category you're in - perfect for families, groups of mates and couples of different ages and riding preferences! Who's going to clock in the fastest time? Each race is a standalone event and you can collect points for the series ranking! 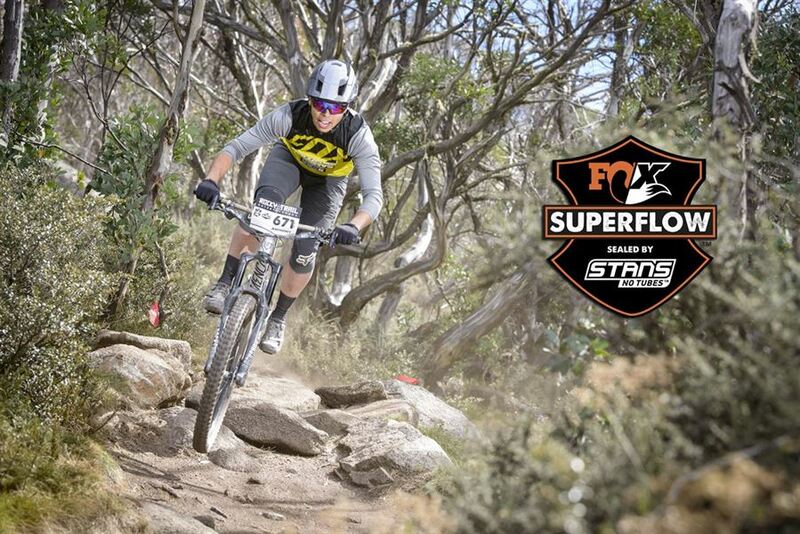 We kick of the series at Thredbo MTB Park with a whole weekend of gravity racing! The Fox Superflow will take place on the Flow Trail with its fast traverses and awesome berms - practice on Saturday and racing on the Sunday! The RedAss Downhill racers will have their competition on the Saturday as well - check out the website and registration page for package deals to compete in both events!